The Network is hosted by The George Institute for Global Health. The George Institute provides the necessary infrastructure as in-kind support for the operation of the Network. The Network is strategically managed by Professor Simon Finfer and operationally run by Dr Parisa Glass. Simon is an Adjunct Professor at the University of New South Wales, and a past-Chair of the Australian and New Zealand Intensive Care Society (ANZICS) Clinical Trials Group. He is a council member and Chair of the International Sepsis Forum, a member of the Global Sepsis Alliance Executive, and a member of the World Sepsis Day Steering Committee. Simon co-chaired the 1st World Sepsis Congress, a two-day free online congress that attracted 14,000 registrants. His postgraduate qualifications include Fellowships of the Royal Colleges of Physicians, the Royal College of Anaesthetists and the College of Intensive Care Medicine. He was elected to the ANZICS Honour Roll in 2011 and in 2012 he was awarded an honorary doctorate (Doctor of Medicine) by The Friedrich-Schiller University in Germany, an honour awarded once every 10 years. Simon is an Editor of The Oxford Textbook of Critical Care (2nd Ed. ), the Critical Care Section Editor for The Oxford Textbook of Medicine (6th Ed. ), and was a guest editor for The New England Journal of Medicine from 2012 – 2014. Dr Parisa Glass is the Director of Operations for The George Institute Australia. In this role she is responsible for directing and enhancing national operational processes. Parisa is also the Deputy Director with Critical Care and Trauma Division of The George Institute. In her capacity as the Deputy Director, she leads the operations of the Critical Care and Trauma Division, and contributes to the academic activity and student supervision. Parisa has a PhD in Biomedical Science and a Master Degree in Business Administration, and holds an Honorary position with the University of New South Wales. Parisa joined The George Institute in 2008. She has over fifteen years experience in health and university sectors in operational and academic capacity. Her expertise is in operational management including finance, personnel, contracts, business negotiations, project management and program management. Kelly Thompson is a Research Fellow and PhD candidate with the Critical Care and Trauma Division at The George Institute for Global Health. Kelly has worked in health since 2004, joining The George Institute in 2012 to undertake full-time clinical research. Prior to this she worked as a registered nurse, in cardiothoracic intensive care at Royal Prince Alfred Hospital in Sydney. 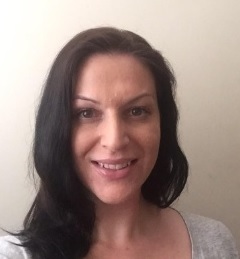 Kelly has a Master’s degree in Public Health, specialising in economic evaluation and is currently studying a Doctor of Philosophy (PhD) at The University of New South Wales under a NSW Health PhD Scholarship. Her thesis is exploring the epidemiological, health and economic outcomes of patients who survive sepsis and septic shock. Kelly’s main research interest is in the epidemiology of sepsis and the health and economic outcomes of patients that survive critical illness. She is interested in health and gender equality, the social determinants of health as well as research into the provision of critical care in low and middle-income countries. 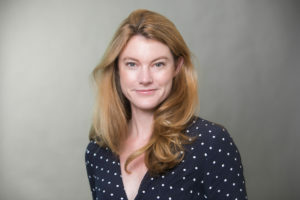 Dr Naomi Hammond is a Post-Doctoral Research Fellow and Research Manager of the Critical Care and Trauma Division and at the George Institute for Global Health, Sydney. She also works part-time as the Intensive Care Clinical Research Manager at Royal North Shore Hospital, Sydney, Australia. Naomi has a background of intensive care nursing and has a Masters of Nursing (Critical Care) and a Master of Public Health. Her Doctorate examined the knowledge translation of fluid resuscitation research into critical care practice. Her other main research interests include sepsis, fever management, health economics, and long-term outcomes post critical illness. Naomi holds a number of other appointments including: Conjoint Senior Lecturer at the Faculty of Medicine, University of New South Wales; Vice-Chair of the Australian and New Zealand Intensive Care Society – Clinical Trials Group (ANZICS-CTG) Intensive Care Research Coordinator Interest Group (IRCIG); an Editorial Board member of Australian Critical Care; and sits on the Australian College of Critical Care Nurses (ACCCN) National Research Advisory Panel. Vesna joined the ASN in 2017. She manages the daily operations of the Network, including communications, advocacy, policy reports, events, consumer and collaborator liaison, and the ongoing strategy and development of the ASN. Vesna holds a Bachelor of Psychology and a Master of International Relations. She has previously worked in university marketing, international student recruitment, and research management.